A trial attorney and registered nurse, Beth Frey graduated with honors from York Hospital School of Nursing in Pennsylvania, where she received her diploma in nursing. She went on to receive an honors undergraduate degree in nursing from University of Maryland at Baltimore. She practiced nursing in four East Coast hospitals before commencing her legal career. As a nurse, primarily in adult intensive care units, she saw first hand the devastating effects of preventable medical errors. She decided she would be better achieve her goals of being a patient advocate and improving the quality of care as an attorney. She received her law degree from University of Baltimore School of Law. Ms. Frey began her legal career active litigating cases in the areas of medical malpractice, personal injury, lead paint, landlord-tenant, and traffic court cases. Since 1999, she has focused her professional practice on catastrophic medical malpractice, wrongful death, and personal injury cases. She served as President of the Maryland Trial Lawyers Association (MTLA), now known as Maryland Association for Justice (MAJ). She is the first nurse attorney and third woman to become president of the approximately 1,200 member statewide organization. She has served on the Executive, Budget, Legislative and Technology Committees and is Past Chair of its New Lawyers, Membership Services and Education and Program Committees. Ms. Frey is admitted to the Bars of the District of Columbia, Maryland, and Pennsylvania, and is trained in Basic and Re-Entry Mediations. In her free time, Ms. Frey enjoys volunteering in her community. 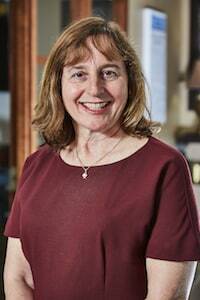 She is a mediator for Frederick and Washington County Community Mediation Centers. She has assisted students with learning disabilities who were expelled from Baltimore City Public Schools. Ms. Frey has coached high school mock trial teams and has lectured at middle schools, high schools, nursing schools, law schools and for bar associations on a variety of medical/legal topics. Ms. Frey resides in Frederick County, Maryland with her husband and three children. When not working, she enjoys supporting her children's interests, as well as biking, hiking, traveling, photography and following current events.